At different times On Monday, three Boxing Day fixtures will begin in different parts of the world – New Zealand first, where fixtures around Christmas have been a mish-mash of the longer and shorter formats in recent years, followed by Australia, which pioneered the Boxing Day Test as a concept, and South Africa, where St George’s Park in Port Elizabeth plays host this time, instead of its traditional home that is Kingsmead. 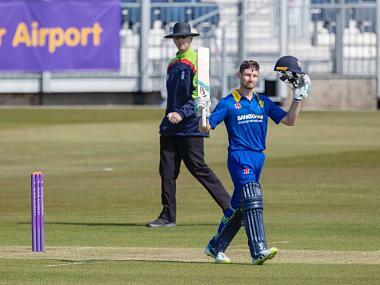 At Christchurch, New Zealand take on a Bangladesh side who have transformed themselves at home, and with away tours at a premium, would want to showcase their improvement in foreign conditions down under. Under Courtney Walsh’s guidance, it is the Tigers’ pacemen whose progress would be under the radar during this tour. Sri Lanka, on the other hand, would look at this as an opportunity to go one better on their 1-1 draw the last time they toured, an uphill task considering how successful the home side’s second-string attack proved in Australia recently. The home side are missing AB De Villiers, Dale Steyn and Morne Morkel, all of whom are out with injuries, but new stars have already started establishing themselves across all departments. Quinton de Kock is fast becoming a force to reckon with, Temba Bavuma and Dean Elgar struck form in Australia, and the bowling engine is as robust as it has ever been. Injuries, what injuries? While the fixture list skips Durban, the scene of the Lankans’ sole Test success on those shores till date, Port Elizabeth’s history as a visitor-friendly venue offers them just the chance to make an early jolt to the Proteas. In the middle of an Australian summer, where the Big Bash League (BBL) is shattering viewership records across the board – in the week leading up to what is fast becoming Melbourne’s short form showpiece on New Year’s Day – the Boxing Day Test is here to remind us of Test cricket’s place in the grand scheme of things. This would be the 36th Boxing Day Test at the MCG, and few sights in cricket match up to the intimidation and adrenalin rush of the first ball delivered on Boxing Day morning. It is Australia’s annual Christmas present to the wider cricketing world, with its own, unique traditions and build-up. From Santa’s presents to the players and their kids before the previous morning’s net session, when training becomes all but a side show, to a synchronised rendition of “Advance Australia Fair” from tens of thousands on the first morning, there is something different about it – a quasi-serious build up to one of the most anticipated games of the year. Crowds thronging the MCG on Boxing Day are commonplace, and it would be interesting to see how close Day 1 attendance numbers stack up to those of the Renegades-Stars derby on 1 January. Last year’s Melbourne derby smashed the domestic attendance record, with 80,883 watching it live at the stadium. The Ashes aside, even Boxing Day attendances have come short of that number by a fair bit over the years. Last year’s Test against West Indies was understandably low key, with the lowest attendance numbers in 20 years. Pakistan, though, are far worthier opponents, ranked just behind Australia in third place, and not long ago holders of the Test championship mace as the world’s number one side. In the middle of the grand theatre that is the MCG, you can only empathise if visiting sides experience a vertigo inducing effect a la Paul Kelly’s Leaps and Bounds, shot not very far from the arena. 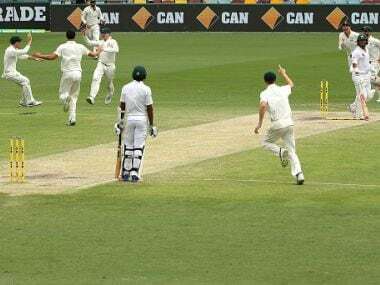 No Asian side has ever won a Boxing Day Test in Australia, and Pakistan’s 1983 draw against a side in transition has been the closest anyone has come to avoiding a defeat. The Australians have dished out hammerings otherwise, with innings defeats the norm. It is astonishing consistency for any side, especially considering the timing of the fixture, which requires a fine balancing act between family and the game itself. Mitchell Starc and Jackson Bird both spoke on Saturday about how none of the pacemen would be bowling too many overs over the weekend, and having to hit the ground running on Boxing Day. Pakistan, on the other hand, go into this game full of beans and high on morale from that memorable chase in Brisbane. The Gabbatoir has also been a nightmare over the years, with sides having to acclimatise to the bounce in the first Test, and Pakistan’s comeback after their first innings collapse showcased the progress which made Misbah-ul-Haq’s side the number one Test side in the world. With a pace attack that needs to produce more for all its promise, and a batting order that has not clicked often enough since their series win against the West Indies, it is about time those flashes of brilliance translated into a sustained spell of excellence. 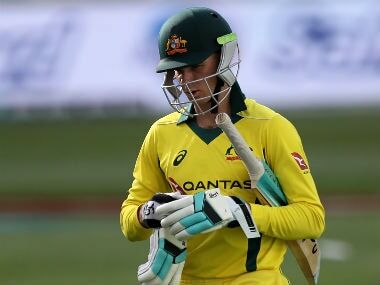 Australia are once again in a transition phase, and the visitors would not have too many better opportunities to upstage them in a marquee fixture like this. A solid, patient opening combination that is beginning to show signs of consistency, along with Asad Shafiq’s fabulous rearguard, were the highlights from the first Test, and any significant contribution from the middle order core of Babar Azam, Misbah and Younis Khan could well have made the difference between a valiant defeat and a record-breaking victory. This is as big a stage as any in Test cricket, and the likes of Sami Aslam and Asad Shafiq alluded to watching it while growing up in Pakistan. The latter has played over 50 Tests now, and considering a vast majority of them were played in front of empty stands in the Emirates, admitted how he and most of his teammates have never played in front of such big crowds. His innings lit up the last two days in Brisbane, and is the biggest reason they feel “united and confident” ahead of this game. History is against them, with three heavy defeats and two draws in Christmas and Boxing Day Tests over 45 years. But if there’s anything Misbah’s side over the past six years have taught us, it is the fact that they are fearless trailblazers with scant regard for history and that they are willing to forge their own path, against seemingly insurmountable odds.